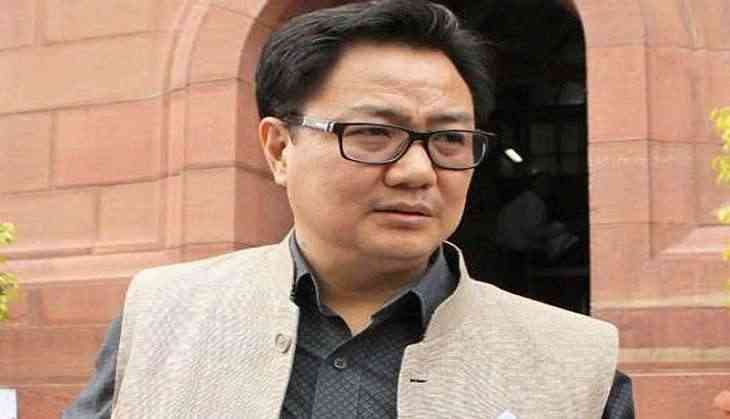 Union minister Kiren Rijiju escaped unhurt when his chopper made an emergency landing on a small field due to bad weather here today. The Mi-17 helicopter with Rijiju and seven other passengers and crew members on board was flying from Guwahati to Ziro in Arunachal Pradesh when it faced heavy rains and fog this afternoon. The pilots of the chopper, belonging to the Border Security Force (BSF), managed to manoeuvre for around 10 minutes before landing on a small field in Itanagar under emergency situation. "I was lucky enough to be landed safely, thanks to the BSF pilots who are very experienced," Rijiju told PTI. The minister of state for home said the Itanagar Superintendent of Police (SP) came to the spot after hearing about the development. Local residents too came forward to help Rijiju and others. Rijiju was travelling to Ziro to attend the Dree harvest festival.